Pakistan’s Prime Minister-elect Imran Khan made many promises during his election campaign. Now he has to deliver. This is not going to be easy, and speed will be of essence. His first priority must be to tap the best brains of the country as his closest Advisors who also cherish the moral and ethical values enshrined in Islam and on which the country was founded. This may necessitate establishing policies aimed at reversing the “brain drain” of the past unfortunate decades. His cadre of Senior Advisers, Cabinet members, Ambassadors, etc could conceivably be part of this select group. Because my basic concerns, as those of many Pakistanis, remain essentially unaddressed, I am providing herewith excerpts from an article I wrote some 2 years ago in the hope that the recommendations therein may be of some help. Since its creation nearly seven decades ago, Pakistan still lacks a solid, enduring socioeconomic and political structure for its 190 million-plus aspiring citizens. To blame its misfortunes on the former colonial power Britain, or on India from whose bosom this Islamic nation was created, is facile; nor can blame, however valid the reasons, be attributed to its manipulation in recent history by the United States or its European allies. Pakistan, a nuclear-armed country, is a proud nation, with an abundance of human and natural resources, and created with the underpinnings of strong Islamic values of religious tolerance, social justice and grace. Pakistan’s strategic location in South Asia offers it the potential to be a powerful force in enhancing regional trade and cooperation, and a credible broker for cross-border or international initiatives on issues threatening regional peace and security. However, its potential for effective leadership, within its own borders and the region, has been woefully highjacked by its own self inflicted multiple tyrannies. The horrific tragedy of the brutal killing of innocent school children in Peshawar, not the first of its kind, should provide reason for serious soul-searching of all that is wrong with Pakistan. Pakistan is 90 per cent Muslim, mainly Sunni, with minority populations of Christians, Hindus, Bahai, Zoroastrians and Jains. About 5 million are Ahmadis, officially considered non-Muslims by virtue of a 1974 constitutional amendment. Sunni-Shia sectarian violence is rampant, with targeted killings of hundreds of Shias every year. The Ahmadis are particularly persecuted and, since 1984, their places of worship have been banned from being called “mosques.” Section 295 of The Pakistan Penal Code, of which The Blasphemy Law is an integral part, was intended to protect religious feelings by prohibiting injuring or defiling places of worship, and to maintain harmony, peace and mutual tolerance in a multi religious community. Over the years, amendments were promulgated to include Sections B which stipulated life imprisonment for an offender who willfully defiles a copy or portion of the Holy Quran, and Section C the death penalty for defiling the name of the Prophet of Islam. These laws in actual practice provide protection to the faith of only one community. Sections B and C of The Blasphemy Law have no Islamic underpinnings yet successive governments have failed to repeal them. This has heightened religious intolerance and the radicalization of Pakistani society. The semi autonomous belt region of North Waziristan, in particular, referred to as a terrorist snake pit, abounds with violent jihadist groups that are fanning the flames of sectarian hatred and medieval Islamist ideology throughout the citizenry.The case of Malala Yusufzai, now a world-renowned heroine, is sad testimony to this anachronistic situation. The Government, hitherto equivocal on this issue, must take a robust stand by banning all religious parties, and prohibiting Mullahs from preaching violence and hatred. Despite continuing legislative and other measures, bribery, corruption and lack of accountability has become a way of life. It persists at all levels of government, the bureaucracy, the police establishment and the average citizenry. In particular, the failure of government in enforcing its tax regime deprives the national exchequer of an important source of sorely needed revenue. Over succeeding decades, Pakistan’s foreign policy vacillated on the heels of changing governments. Former Defense Minister Khwaja Asif acknowledged that Pakistan’s relationship with the US has been “less than trusting” adding that Pakistan is “still paying the price for our intervention in Afghanistan”. His analysis, “the disintegration of this region on sectarian and ethnic lines is in process” is particularly disconcerting. Fortunately, a political awakening is emerging with growing talk of forging strategic alliances with other regional powers such as Russia and China. “Pakistan must pursue its own national security goals; we don’t want to antagonize our neighbors, countries of the region and greater powers,” then Defense Minister said. This statement underlines also the imperative of cultivating closer ties with India, based on mutual respect. This could pave the way to finally resolving the cantankerous Kashmir problem which has, since Partition, bedeviled relationship between the two neighbors. Pakistani society is clearly divided into an elite minority of politicians who dominate the country’s political scene, wealthy businesspersons, industrialists and senior professionals; the rest are the lower middle class and the poor or marginalized. The archaic feudal Landlord system, a legacy of British colonial rule, disenfranchises the landless, laboring class to a life of permanent servitude. Even though tenancy rights have improved under limited and symbolic reform, its implementation remains flawed. Comprehensive reform is necessary. This should include limiting the size of land holdings in rural areas, levying of agricultural tax in all provincial jurisdictions, prohibition on absentee landlordism and the fixing of minimum wage for agricultural labor. The advancement of a nation demands a quality of education that prepares its youth for promising careers in the Sciences, the Arts and the Humanities. Pakistan lacks that infrastructure. Only the elite can afford the expensive private schools run mainly as businesses. Government schools for the rest are poorly funded and equipped, with the gap covered somewhat by better run NGO-established educational enterprises.Those educated in the madrassahs, or religious schools are taught only Islamic studies and go on to work only as clerics in mosques. A thorough reform of the educational framework is crucial. This means a substantial increase in budgetary allocation for education, the taking over of all madrassahs by the government to include the teaching of the proverbial Reading, Writing and Arithmetic in the curricula, with English as a necessary, compulsive language. Importantly, a system of Vocational Training schools is necessary for those who look for careers in defined sectors. The Swiss Model of Education is an example worth exploring and emulating. In a thriving democracy, people are free to exercise their fundamental human rights. This is not the case in Pakistan. The Election process is a virtual farce, with recurrent accusations of bribery and vote-rigging. The Constitution provides for non-eligibility of candidates with dubious records or qualifications but the Election Commission’s whetting process often overlooks this requirement. There is clear need for a strong Civil Society structure and institutions, whereby citizens may freely speak out against all injustices, including choosing their elected representatives. 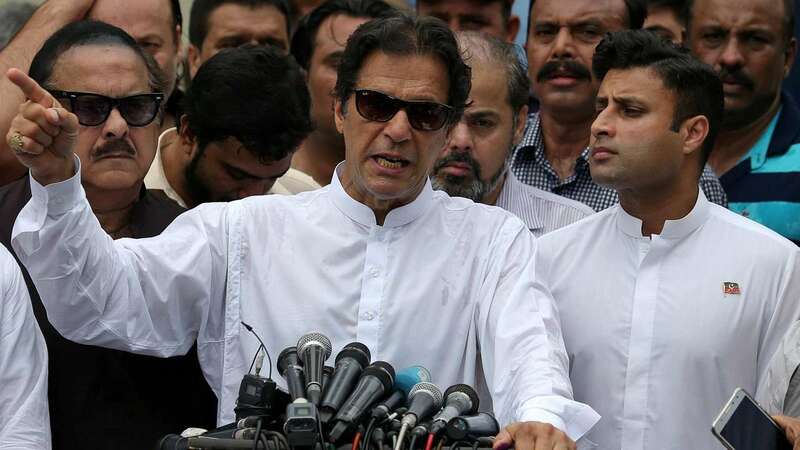 In summary, Pakistan’s new Prime Minister has acknowledge the country has serious governance problems and will hopefully attempt to redress soonest its self-inflicted tyrannies. Only then will the country and its new Prime Minister restore its credibility within its own citizenry and also abroad as a trusted nation and reliable ally with which to “do business with” in confidence and, above all else, with mutual respect. Former senior UN official who served as the UNHCR representative in Malaysia, Japan, Australia and the Sudan. He holds Canadian citizenship and lives in Geneva, Switzerland, writing on humanitarian and human rights affairs. Very well researched and beautifully written lucid article. Hope people coming in power in Pakistan at Centre and Punjab particularly benefit from this. Pakhtunkhuwa will also be governed by Imran Khan’s PTI. In Baluchistan PTI will join coalition government. Sindh still belongs to PPP governed by Asif Ali Zardari and his sister Ferial Talpoor. Both of them are being closely scrutinized by NAB for money laundering of billions.SC has given indication to form GIT on the pattern of Panama Leak in case of Nawaz Sharif. Aitzaz objecting. Imran is an honest, well educated and likeable personality.who has struggled for 22 tears to reach to this stature. He has devoted leaders like Asad Omer, Dr Alvi, Shafqat Mahmood, Shah Mahmood Qureshi, Shireen Mazari and Fawad Omer Wada/others They make a good team. .
First 100 days of Imran Khan’s government will be intersting to watch. All Pakistan loving people realise that the challenges ahead are many and severe. Excellent article by Mr. Iqbal Alimohamed. He has highlighted the major issues that need to be tackled by the new government. Some of these points were mentioned in Imran Khan’s victory speech. The road to success is perilous and challenging. All of us need to do our bit to realise our dream of becoming a successful nation.